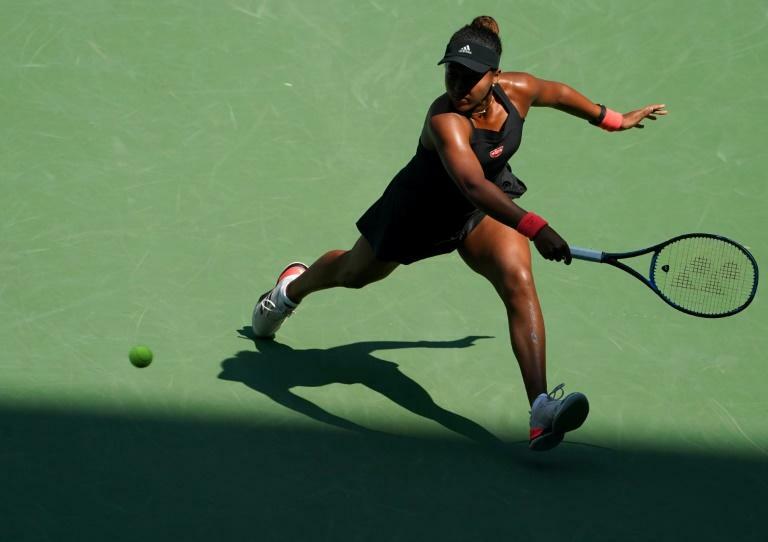 Japan's Naomi Osaka reached her first Grand Slam quarter-final at the US Open on Monday, tearfully admitting she was prepared to "break a leg" to win the match. The 20-year-old defeated Aryna Sabalenka of Belarus 6-3, 2-6, 6-4 to become the first Japanese woman in the US Open last-eight since Shinobu Asagoe in 2004. "I would never have forgiven myself if I had lost that match today," said a tearful Osaka. Next up for Osaka is a clash against either 19-year-old Marketa Vondrousova, the world 103, or Ukraine's 36th-ranked Lesia Tsurenko who earlier knocked out second seed Caroline Wozniacki. Osaka went into Monday's last-16 tie having won 22 games in succession at the tournament while fellow 20-year-old Sabalenka was on an eight-match win streak. The 26th seed from Belarus was making her main draw debut in New York after a red-hot summer had seen her win a maiden title at New Haven and make the final in Cincinnati. She had knocked out fifth seed Petra Kvitova, the two-time Wimbledon champion, in the third round. However, Osaka broke twice in the first set and was looking comfortable for a fourth successive straight sets win at the tournament. Sabalenka roared back with breaks in the third and fifth games of the second set and was a break to the good in the decider at 2-1. Osaka steadied the ship and retrieved the break immediately. Sabalenka saved three match points from 0-40 in the 10th game but her eighth and final double fault sealed her fate. Also making the last eight was 2017 runner-up Madison Keys who eased to a 6-1, 6-3 win over Slovakia's Dominika Cibulkova. American 14th seed Keys, who was defeated by compatriot Sloane Stephens in the 2017 championship match, fired 25 winners to Cibulkova's seven. The 23-year-old will face either former champion Maria Sharapova or Spain's Carla Suarez Navarro for a place in the semi-finals. "I am really glad I got the win," said Keys after reaching her third Grand Slam quarter-final of the season. "Dominika is a good player so even though I was a set and 2-0 ahead, it wasn't surprising that she would come back and win a few games. "So I just had to focus on getting some first serves in and wait for the right ball." Sharapova, the 2006 champion, will attempt to return to the quarter-finals for the first time since 2012 when she faces Suarez Navarro. The five-time Grand Slam winner has a flawless 23-0 record under the lights at Flushing Meadows. However, eyebrows have once again been raised over the scheduling of her matches. All four Sharapova ties this year will have been at nignt -- three on Arthur Ashe and one on the adjacent Louis Armstrong. Even six-time champion Serena Williams has had to play one match in the afternoon. "It is very unfair. There are rules and then there are rules for certain players," former tour player Daniela Hantuchova told broadcaster Amazon Prime. "I spoke to Carla's coach and he couldn't believe it is not a day session match." The two other quarter-finals will feature Williams against Karolina Pliskova, the Czech eighth seed, while third seed Stephens faces Latvia's Anastasija Sevastova.